Disaster Cleanup Services provides 24 x 7 emergency services to tackle flood and water damages to residential and commercial establishments alike throughout the Lakewood, CO area. Water damage can seriously affect the structural integrity of any building. Once disaster strikes at your home or business, you must figure out the scope of the damage immediately and do the preventive measures to reinforce the structure. If you reside or operate your business anywhere in the Lakewood area, Disaster Cleanup Services can assist you through the entire recovery process. In addition to the structural damage to the building, water damage can result in the formation of dangerous mold in the building and this can result in health problems for its inhabitants. Disaster Cleanup Services will help you tackle both these problems and provide you with total peace of mind. Getting rid of accumulated water is only a part of tackling water damage. Disaster Cleanup Services will ensure that complete water damage restoration will be undertaken. Once we completely dry out the building, you will not face any problems related to mold or mildew. In case, proper water damage restoration is not conducted the water content left in the furniture, carpet, wall, wood, concrete etc. can turn out to become mold. Our experienced technicians can help you to effectively tackle your water damage problems at any hour of the day or night. As soon as you notify us about your problem, our 24×7 work force will start working on ways to solve your problem. Our staff uses the most advanced water extraction technologies and equipment to get rid of the accumulated water. The quality of our equipment will help you to get the problem solved at the shortest time at very reasonable costs. Add to this the highly experienced and professional work force, and you are certain to love the end results. In your hour of misery, Disaster Cleanup Services will be your best friend. We never try to make a quick fortune out of your bad fortune. Before we start our job, we will provide you with an easy to understand, upfront estimate without any hidden charges. You can clarify your questions with us over the phone. 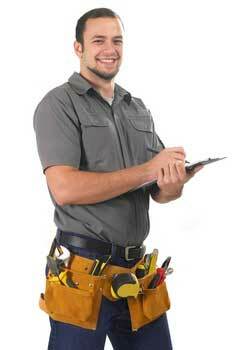 Once you assign the job to us, our technicians will get to the task of solving the problem immediately. The water accumulated in the water damaged area will be dried out and the property brought back to its old glory.